eD@HoMe: My first cover from Portugal! 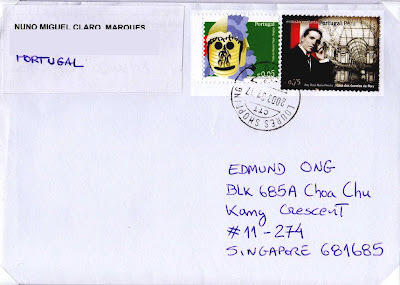 Sometimes ago, I received my first cover from Portugal! Great thanks to Nuno! 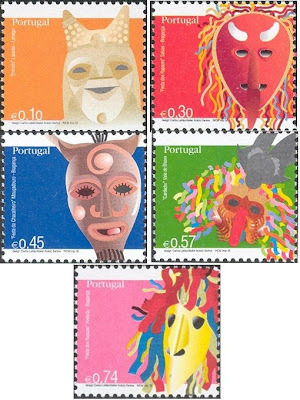 The colourful stamp on the left of the cover belongs to the "Portuguese Masks" series II. It was issued on 29th June 2006. 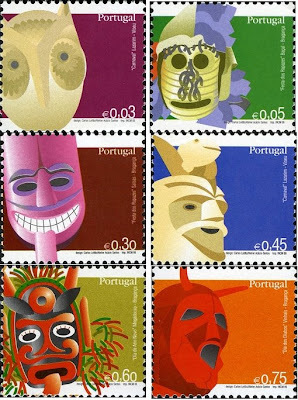 On 10th August 2007, Portuguese Post Office issued one stamp depicting the great architect and painter Raul Maria Pereira (the stamp on the right of the cover). It was a Joint issue with Peru to commemorate his 130 anniversary. 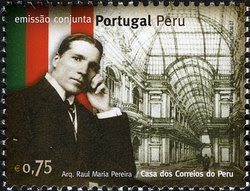 On the background of the stamp you can see the "Casa de Correos y Telégrafos" (Post Office House) located in Lima, Peru designed by him. This cover traveled an estimated distance of 11,883km and took 4 days to arrive. Take a look at my blog too and if possible put a link at yours. If possible put a link at your blog. Have already linked your blog.